The bustling scene at Orillia Rama Regional airport (NJ4) is virtually unprecedented for an airport of its sie in rural Ontario. The freshly renovated airport, described as a “one-stop shop aviation mecca” by Lake Country Airways pilot Jamie Mortley, is giving pilots a reason to fly in. 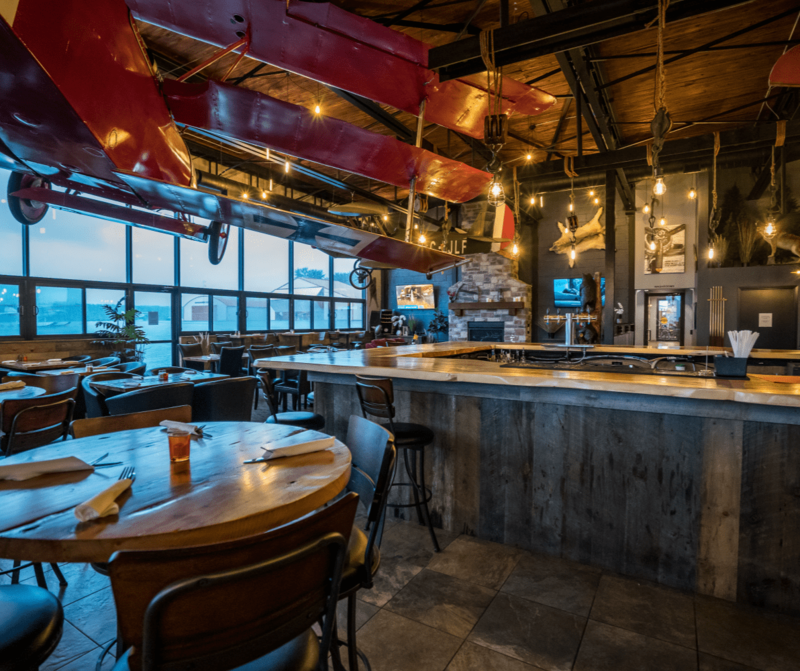 The centre of attention of the operation is the newly built Tailwinds Bar & Grill, which opened just this summer and has been drawing crowds every day of the week. Clayton Smith, a bush pilot and Commercial Realty Group principal, bought the airport in 2016 and has been upgrading it ever since. Changes include extending the runway and apron, adding more docks for sea­planes, paving a new road and parking lot and building 30 new private T­hangars. These updates have certainly given the airport a facelift, but em­ployees and customers agree that it is the new restaurant that has drawn the most visitors. in throughout the morning and after­noon to try the locally famous dishes. Their most popular menu items include the buffalo chicken wrap and carrot cake. 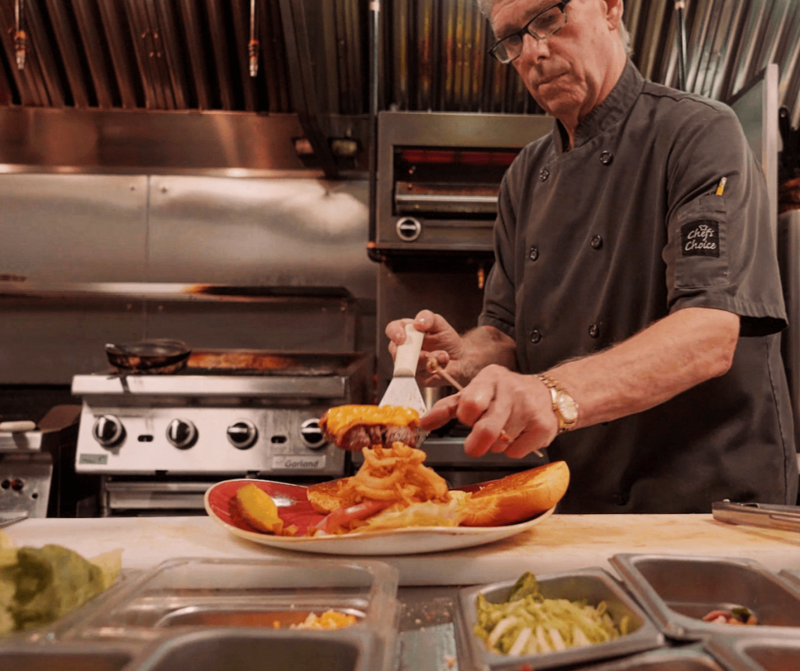 Going forward, the restaurant has big plans for the winter and upcoming season. Fly-in visitors will be happy to know that the runway is maintained all winter and the restaurant will remain open all year long. Additionally, they are working to bring a snowmobile trail right up to the property so that those preferring that mode of winter transport can visit. The kitchen will also be updating their menu to offer more seasonal meals to keep guests warm inside after their journey. Airport receptionist and admin­istrator Kenzie Brailey says that her favourite part of working at the air­port is seeing all the fun things going on, from birthday parties to marriage proposals. Captain Brendan Shan­grow of Lake Country Airways attests that flying over their lake country is fantastic and worth the trip for both the scenery and the atmosphere. Tailwinds wishes to thank all of their new and returning customers who support them. 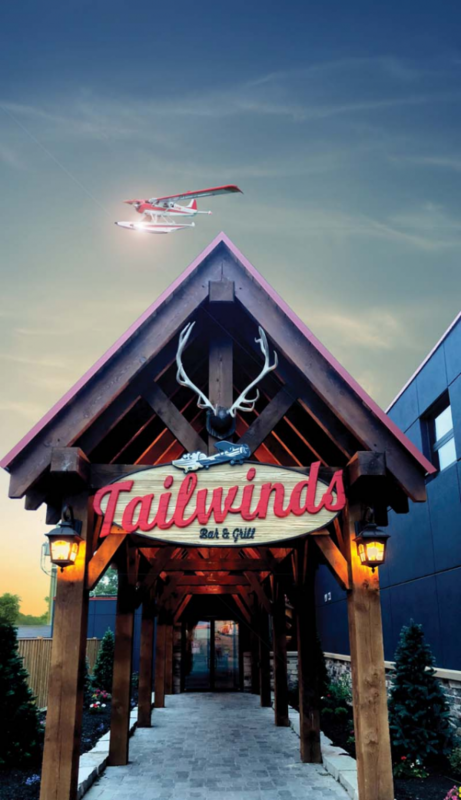 Thanks to their fans, Tailwinds won COPA’s 2018 Members’ Choice Airport Restaurant Award with nearly 1000 votes. If you haven’t flown in recently, put Orillia Rama Regional on your list.